CC peers into the window of a Western facade at Paramount Ranch. If you ever feel like going back to the days of Dr. Quinn, Medicine, Woman, Paramount Ranch in the Santa Monica Mountains is the place to do it. CC and I visited the old Western movie lot last weekend, after driving up to Malibu on the PCH and turning inland toward Agoura Hills. It's beautiful country, tucked into alternately green and deserty hills, and you can almost imagine what it was like in the pioneer days from a long time ago. Either that, or you can imagine what it might have been like to film it mere decades ago. Paramount Pictures purchased the 2,700 acres back in 1927 to use as a movie ranch. The sets were featured in movies Wells Fargo (1937), as well as TV shows The Cisco Kid (1950), Zane Grey Theatre (1956) and, of course, Dr. Quinn (1993). Ownership of the ranch changed hands several times over the years, with the National Park Service buying a portion of the original property in 1980. The organization then refurbished the movie ranch. When we went, there were tons of families, and a tour guide leading visitors through the hollow buildings. It was a great picnic spot, with shaded tables and even a stage that CC made great use of. There were several photographers and even a wedding party (the bride wore cowboy boots and a mini wedding dress!). We had a fun time wandering the grounds and meeting other families. CC played so nicely with a little toddler girl who kept trying to tickle and hug her. It was cute. While we might wait until after summer to visit again -- it was pretty hot and dry -- we'll definitely be going back. Maybe next time, in our own cowboy kicks. This post is sponsored by Apartment Guide. Are you looking for a new place to call home? Apartment Guide has tips and articles about exploring a new city and making a space your own on the Apartment Guide blog and Moving Today. First off, I want to say thank you to everyone who participated in my Apartment Guide giveaway! I loved reading through all of your comments about how you would spend $50 to explore your city. Checking out new restaurants seemed to be the No. 1 pick. In fact, that's just what Elena said. Congrats, Elena! Bon appetit! I'll send you an email with more details. In my previous post, I wrote about looking for a place to call home in a new city. 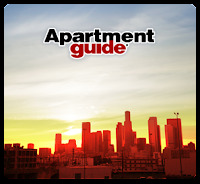 While I was fortunate enough to practically stumble onto a great studio apartment when I moved to L.A. from New York, it's always great to have a resource like Apartment Guide, which has photos, floor plans, features and tips to help you find a great apartment community. Over the 10 years that I've lived here in Los Angeles, I've definitely changed perspectives on what I want in an apartment. After all, I went from being a single grad school student who enjoyed making creative use of a small studio apartment to a married mom of a little (active!) girl. That's where choosing a suitable neighborhood comes into play. And more space! I was always on the lookout for a neighborhood where I could walk, but I also wanted something that was fun for our daughter. A park in the area would be nice as well. While we've moved a couple of times since that New York-style Los Feliz apartment building -- first the Hancock Park/Koreatown area and now to the Westside -- we've looked for places that help make CC feel at home. I love it when she recognizes landmarks in her neighborhood and feels as if it's her own. Which it is. But even moving across town can be a big switch. Personalities are different. Stores are often different. And there's just a different vibe. (Bye-bye, Los Feliz hipsters. Hello, family four-packs and indoor play spaces.) That's where a resource like Apartment Guide comes in handy when doing neighborhood research. Whether you're content with where you are, are looking or planning a move, Apartment Guide offers how-tos for making the most of your space, city and neighborhood. Whatever stage you're in, I hope these posts have inspired you to check out your neighborhood and explore your city even more. I'm definitely inspired by your comments and would love to check out a (relatively) new restaurant in Culver City called A-Frame. Maybe we'll make it a family outing! To check out more Apartment Guide info, you can "Like" their Facebook page, follow them on Twitter @AptGuide, and "circle" them on Google+ for real-time tips and updates on exploring your city and neighborhood. 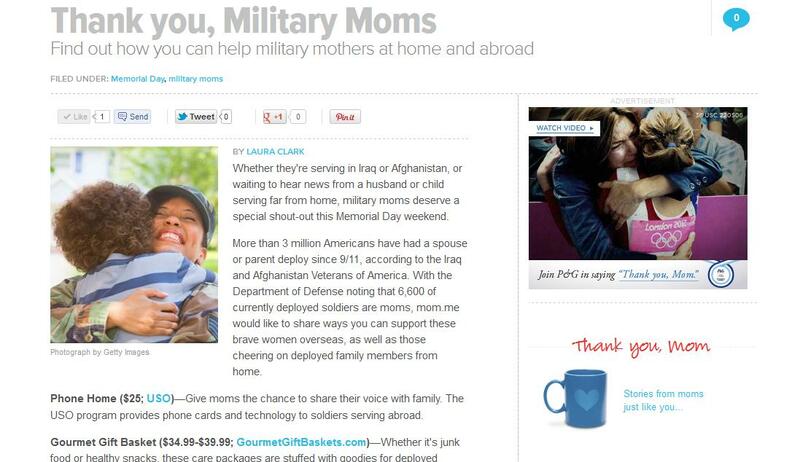 In the meantime, check out my mom.me story on how you can help military moms. You can also grab a tissue and watch some tearful video homecomings (see links at the bottom of the story), as moms and their sons arrive back from active duty. These videos are definite tearjerkers. Whatever your plans, stay safe and enjoy! 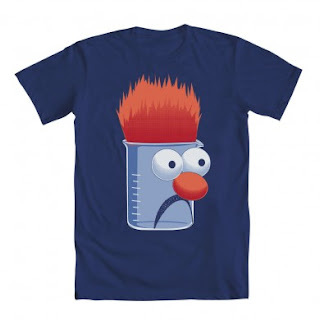 Fellow mom and blogger JustJENN pointed me in the direction of Mighty Fine T's, a cool online clothing company that specializes in making fun -- and sometimes wickedly fun -- T-shirts, hoodies, bags, hats and other items. And not just for kids. 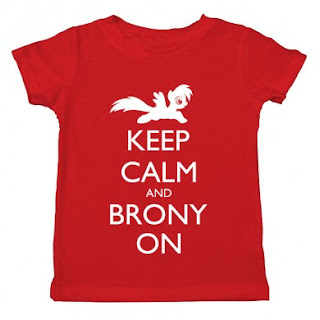 Moms, dads (and bronies!) can also order up some trenchant fun. CC would love the My Little Pony and Hello Kitty T's or even this tense-looking Beaker T.
Whether you're nerding out, having a little ironic fun, or bringing back the awesome '80s for your kiddo, you should check them out. The past few weeks have been pretty busy, but I wanted to officially show you where I've been spending the bulk of my time -- as an editor at new moms' lifestyle site mom.me. 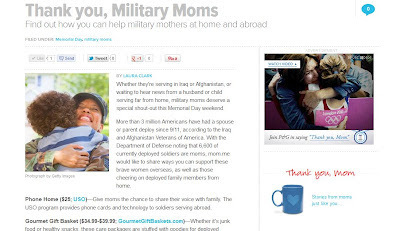 The site, which I mentioned pre-launch last month, is lovely and the closest thing to a magazine format that I've seen in the online mom-content department. What's especially cool about mom.me (pronounced "mom-dot-me") is that it covers all the life stages, from pregnancy to empty nest. 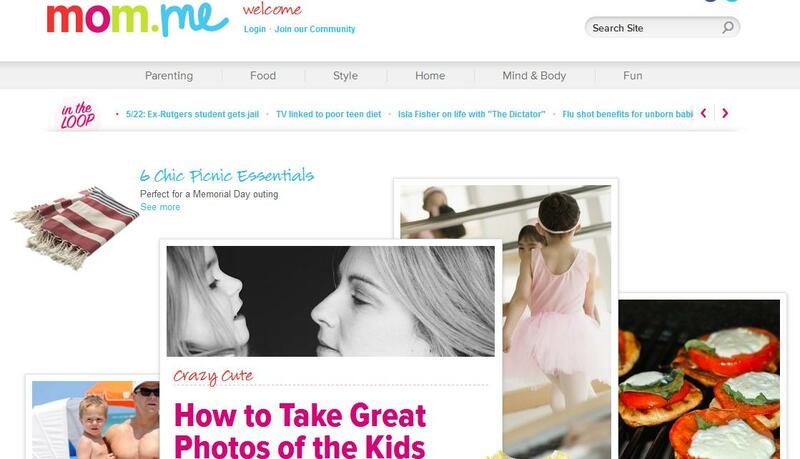 I know a lot of moms have felt a little forgotten by parenting sites/mags after their kids have hit a certain age. Not here. There are stories about kids moving into tweendom, as well as spending Mother's Day without your grown children. mom.me also focuses a lot on Mom herself. It's not always about the kids. Did you know these celeb moms are also Ivy League grads? I wanted to show you what I've been up to -- and why posting hasn't been as regular as it used to be -- so please feel free to check out the site. I'm having lots of fun there, and I think you'll find something interesting, too. This year marks my 10th anniversary in Los Angeles. When I moved here from New York in August 2002, I have to admit that I was a little freaked out about finding an apartment. After all, in Manhattan, things are different. Crazy different. There are brokers, for one thing. And forget about parking. Heck, forget about a car. (That actually may be a plus.) And you have to wait. And hope. But here in L.A., things are more laid back, as you might expect. There are "For Rent" signs on practically every residential corner, whether you're looking in Echo Park or Hancock Park. And while you might have to compete with other interested parties, it's always nice to know there is another apartment available close by. It's so funny to think about that time now, pre-CC, pre-marriage. Ian and I were in grad school, and I wanted to find a place that was close to where he was (he had moved out here first), but I also wanted it to work for me and my style -- not just be something I happened to stumble upon. I wanted to feel at home in my new city. So what did I do? I found the only apartment building in Los Feliz that looks as if it could be in New York. While I was able to find my Vermont Avenue apartment fairly easily, there are great resources out there such as Apartment Guide, which, if you're looking to move, not only features photos, floor plans and tips on finding a great community, the site also offers how-tos for making the most of your space, neighborhood and city. That's especially helpful if you're coming to a city blind, without really having scoured potential great neighborhoods. While we've moved a few times since that first set of apartments in Los Feliz -- which can be a pain -- it's also given us a chance to explore more of Los Angeles, seeing different neighborhoods and how they work. We've since left the Hollywood hipsters for the Westside, but it's always nice to go back and visit places like Skylight Books or Fred 62. * Walk around and explore. You never know what you might find on foot that you'd miss behind the wheel. * Eat, drink or read locally. Pick out a non-chain eatery or bookstore, and people-watch. It lets you get a better feel for the place. * Talk to your neighbors. You never know how helpful they can be. 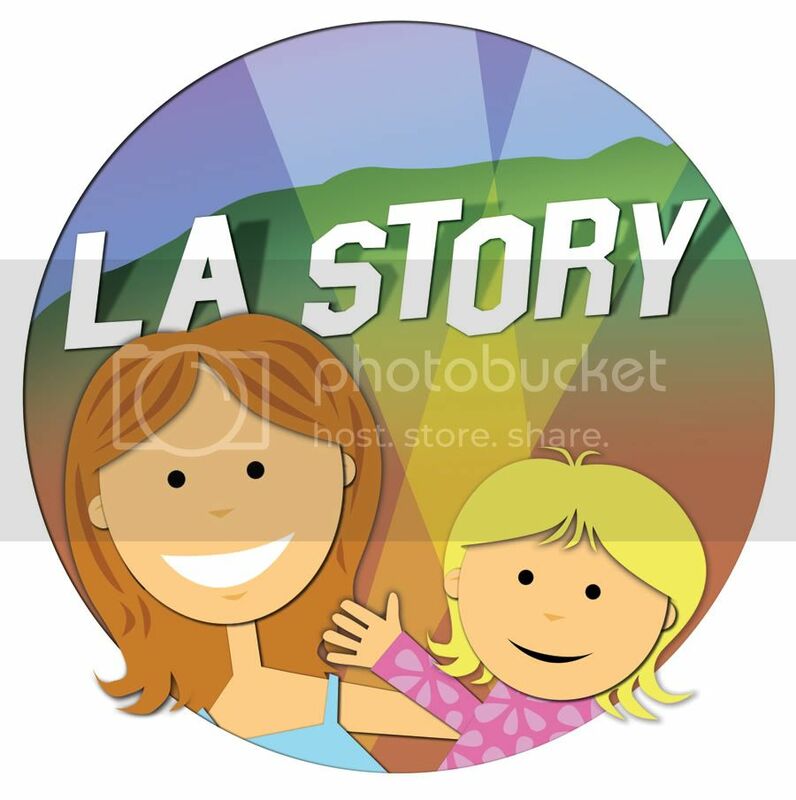 I'm giving away one $50 American Express gift card to an L.A. Story reader. To enter, follow @AptGuide on Twitter AND leave a comment below saying how you would use $50 to explore your city. Good luck, and I will announce the winner in a separate post on Tuesday, May 29! 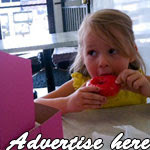 We are big fans of the California Strawberry Festival, which is making news in Oxnard once again. This weekend, May 19-20, you can have your choice of strawberry pizza, strawberry nachos, strawberry shortcake -- or just straight up strawberries in their little green baskets. This is a birthday party-packed weekend for us, so we'll have to skip it this year (boo), but here's the info in case you'd like to head up there for the tasty treats. Enjoy! Strawberry Meadows of College Park, 3250 South Rose Avenue, Oxnard. Limited parking is available on site for $10. Pregnancy Awareness Month founders with blogger partners. 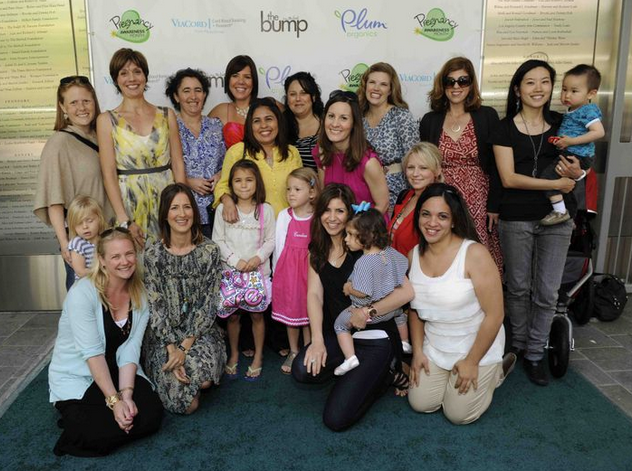 There were baby bumps galore at the Skirball Cultural Center last weekend for the annual Pregnancy Awareness Month event, founded by Anna Getty and Alisa Donner to arm expectant moms with tons of helpful information about their roles as mothers. While it was fun meeting Anna and Alisa, and catching up with my friend Andrea, who was part of the PAM advisory team, I also loved checking out all of the fun products and services that are available for new and returning moms. That, and seeing Lisa Loeb perform jaunty children's songs for the kiddos. Singer/songwriter Lisa Loeb performs at the Skirball. No worries about harmful plastics with these (tough-to-break) tempered glass food containers from Wean Green. Cloth diapers have gotten cuter. Blessed Bums even washes them for you! Happy Mother's Day! I hope all of you moms out there are taking it easy and enjoying the day. I've already slept in and had a nap -- how indulgent is that?! Ian, CC and I are going to get outside and get active after that and a wonderful dad- and daughter-made breakfast. It was so nice! I also wanted to share a video of CC, who rocked the hula-hoop during her preschool talent show last weekend. It made this mom very proud! UPDATE: Congrats to kolpin, who won the Green McClean residential cleaning! Please email me at losangelesstory@gmail.com with your name and phone number. Thanks to everyone who participated (and to Random.org for helping me decide). This post is sponsored by Green McClean, an L.A.-based commercial and residential cleaning service that uses eco-friendly products. This has been a week of cool giveaways, but I know parents will be excited to hear more about this one. Green McClean is an eco-friendly cleaning service that offers a variety of packages for Angelenos. (Check out what people have said on Yelp.) Whether you're looking for a standard house cleaning or more of a deep-down cleanse (hello, hiding Cheerios! and toothpaste-flecked sinks! ), this local company offers both while also using products certified by Green Seal, as well as those that are plant- and enzyme-based. That means their products are nontoxic to people and the environment. I'll admit it. Sometimes it's hard to pick an eco-friendly cleaner. What are the best ingredients? Do they really sanitize properly? Are they too pricey? That's why I wanted to share some tips, courtesy of Green McClean. Lemon juice is a grease cutter as well as a stain remover. Tea tree oil is great for diluting and using as a mouthwash. 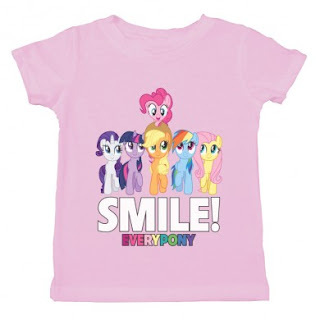 You can put it on sores and cuts, and in shampoo for dandruff. Try using a hair dryer on crayon marks. It heats the wax and wipes away instantly. Don't heat plastic in the microwave or wash in the dishwasher, especially if it's being used by your baby. BPA is a chemical in plastic that is released in heat. Castile soap and baking soda are great for cleaning tile, floors, counters and work as grease cutters, too. Homemade laundry detergent can be made with 2 cups of natural grated soap, 1 cup of Borax and 1 cup of washing soda (the last you can find in the laundry section of the grocery store). Mix together and place in an airtight container. Good luck, and I'll announce the winner on this post on Friday, May 25! Kidville invites kids to get up and go. 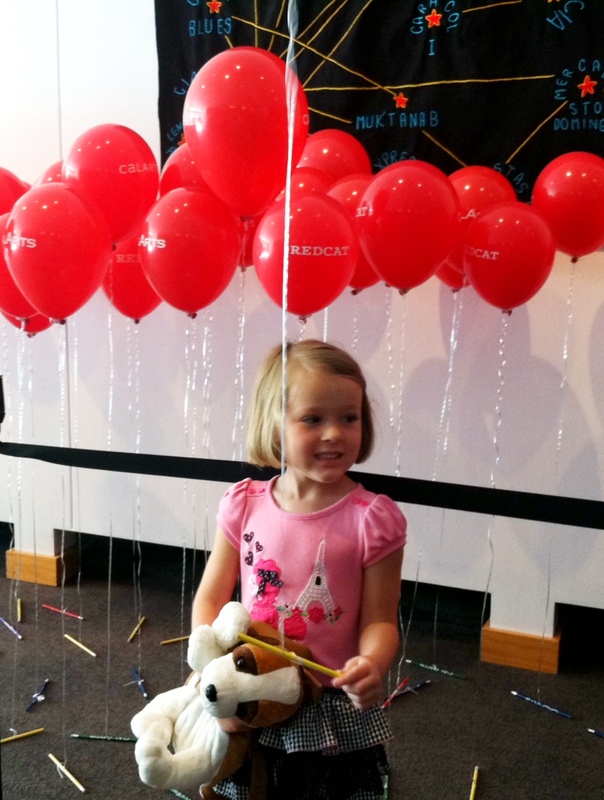 UPDATE: Congrats to Bernadette, who won the Kidville class for one semester! Thanks to everyone who participated! 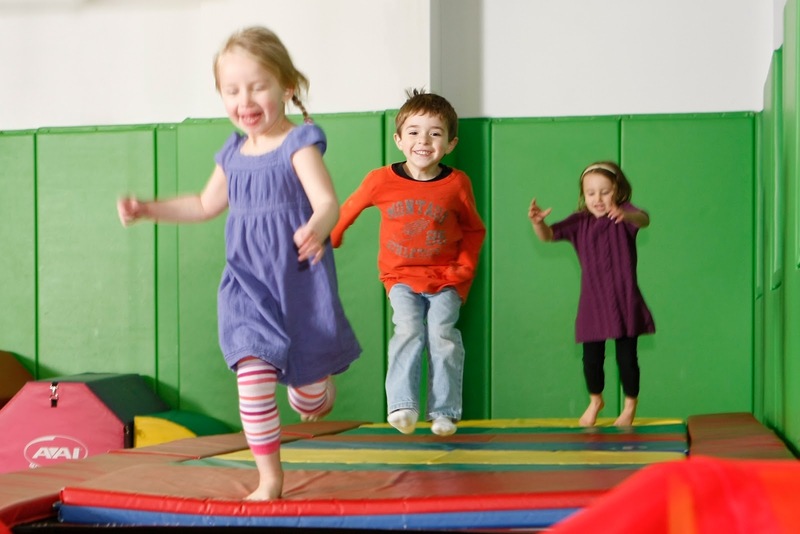 There's a new indoor playspace in town, and what would be better than a party to celebrate? Kidville, a romper room with creative classes, a preschool alternative and even a salon(! ), is opening in Brentwood, and they're hosting a family day on Saturday, May 19. The child-friendly spot was created for the 6-and-under set, and offers music classes (Rockin' Railroad), art classes (My Big Messy Art Class), as well as hands-on science classes for the older tykes (Savvy Scientists & Awesome Engineers). That's in addition to birthday parties and camp classes. The party on May 19 (12 p.m.-3 p.m.) will invite families to explore the facilities and check out a live music performance from Rockin' Railroad (1 p.m.). I'm giving away one Kidville 45-minute class for one full semester. Click here to explore the various options. With that, the winner will also receive a silver membership, which gives members a ton of Kidville discounts. To enter, check out the various Kidville classes and let me know which one interests you the most for your child. Good luck, and I will announce the winners (on this post, not a separate one) on Wednesday, May 16! "Who's There?" a film by Vanda Raymanova of Slovakia. The jam-packed audience was all abuzz even before the lights went down. Families who spoke a variety of languages -- some I didn't recognize -- filled the seats (and front-row cushions) at the Roy and Edna Disney/CalArts Theater downtown for Day 1 of the 2012 REDCAT International Children's Film Festival on Saturday. And CC was one of them. After announcing that one short film would be spoken in German, with English subtitles, CC told the people in front of us, "I'm part German. Guten Tag!" Thank you, Berlin! It was truly amazing being part of such an international crowd right here at home. It really speaks to L.A.'s diversity and curiosity about different cultures. CC also loved the balloons they were handing out at the festival. But that wasn't exactly what interested CC. She was in it for the short, kid-friendly films. In fact, the one she chose as her favorite was the one pictured above, "Who's There?" about two boys who become friends and then enemies and then friends again, all while building a curious house together and teasing one another about scary wolves. I was a big fan of "Hoggie & Snip," from Magnus Hjerpe of Canada. That film told the story of an unlikely friendship between a young snake and hedgehog. OK, so I'm a sucker for hedgehogs. There's still one more weekend of kid-friendly films at the festival. Click here for more info and $5 tickets. "What to Expect When You're Expecting," a comedy based on the book that we moms all have, will make its way into the multiplex world on May 18, but I have the downlow on a free screening this week. 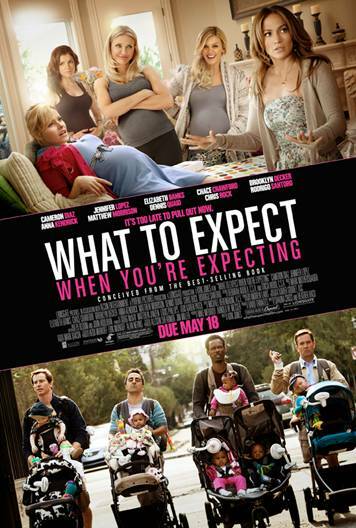 The movie -- which, by the way, isn't a month-by-month catalog of the aches, pains and other weird things your body goes through during pregnancy -- is about five couples and a "dudes" support group that experience all the ups and downs that come with having a bun in the proverbial oven. The cast includes a bunch of big names, such as Cameron Diaz, Jennifer Lopez, Elizabeth Banks, Matthew Morrison, Dennis Quaid, Chace Crawford and Chris Rock, just to name ... a lot. UPDATE: Congrats to Amy Anderson and Jimmy, who won the Family 4 Packs to Circus Vargas. Please email me at losangelesstory@gmail.com with your preferred dates/times. Thanks to everyone who participated (and to Random.org for helping me choose). Stay tuned for more giveaways! Circus Vargas will be rolling into Hollywood next week, pulling back the curtain on the blue-and-gold big top from May 10-14 at Sunset and the 101 Freeway. CC and I had lots of fun last year, and this year sounds just as energetic -- but with a new twist. Adding "a touch of Broadway," Circus Vargas will boast singing and "a splash of razzle dazzle," according to the release. And Ringmaster Kevin Venardos will be doing a little singing himself, too. That's, of course, in addition to the acrobats and aerialists the circus is known for. Visitors can come 30 minutes before showtime for a special interactive pre-show just for the kiddos. They will get a lesson on circus skills from host Jon Weiss and his wife, Laura. Once the circus leaves Hollywood, it will makes its way to the City of Industry May 17-21 before heading to Orange County locations from May 24-June 25. 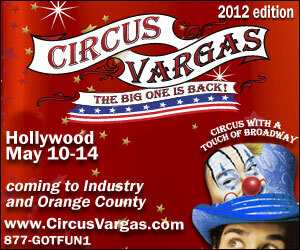 I'm giving away 2 sets of Family Four Packs to see Circus Vargas in Hollywood. To enter, please leave a comment telling me what you or your kids love most about the circus. Good luck, and I will announce the winners (on this post, not a separate one) on Tuesday, May 8! "The Little Red Plane," from Charlotte Blacker of the United Kingdom. It's that time of year again! 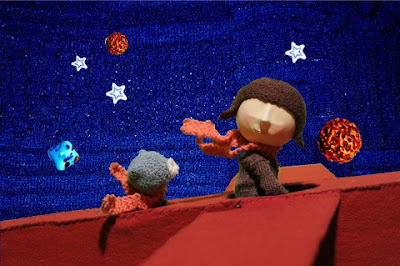 The 2012 REDCAT International Children's Film Festival debuts this weekend with a big slate of kid-friendly films from all over the world. CC and I have our tickets ($5 each) for Saturday's "Birds of a Feather" lineup of short films geared toward children ages 4 and up. With animal-themed films including "Ballet of the Unhatched Chicks" (U.S.) and "Pipi, Pupu & Rosmary" (Luxembourg/Italy), CC will be able to "explore the worlds of a lovable array of critters, varmints and other furry and feathered creatures," according to the REDCAT program. * "Planet Kid" (Sat., May 5; ages 7+) -- "Journey deep into the worlds of funny and fantastic kids through the lens of these live-action and animated shorts that prove every child is truly one-of-a-kind." * "Once Upon a Time" (Sat., May 5; ages 8+) -- "Gather 'round a cinematic campfire of fractured fairy tales and fanciful fables, including an Oscar-winning short and new animation from Aardman Studios -- shot on the world's largest stop-motion set." * Nickelodeon Family Fun Day (Sun., May 6; Nick Jr. ages 2-6; Nickelodeon ages 7+) -- Children's channel Nickelodeon, which also helps support the festival, will screen episodes from its Nick Jr. and Nickelodeon lineup, including "The Fresh Beat Band," "Team Umizoomi" and "SpongeBob SquarePants." * "A Journey Beyond" (Sat., May 12; ages 7+) -- "Vibrant music and colorful cultures come to life in a cinematic sightseeing trip, with visits to Poland, Mexico, Vietnam, Italy and a magical New York City subway ride." * "Yes I Can: Kids Come of Age" (Sat., May 12; ages 9+) -- "Celebrate amazing kids as they overcome adversity to forge friendships, embrace their heritages and discover the value of their unique place in the world. * "Fire and Ice: New Animation from Russia" (Sun., May 13; ages 7+) -- "Timeless stories are told with a distinctly Russian flair in these films from Moscow's famed SHAR Studio and Animation School." * "Wild Ride" (Sun., May 13; ages 7+) -- "Set sail with this fast-paced collection of live-action and animated films from four continents, and find out why adventure makes the world go round." * "Fright Delight" (Sun., May 13; ages 9+) -- "Thrill to hair-raising encounters with vampires, ghosts, creepy crimes and horrendous homework -- for kids who love chills, goosebumps and scary stuff." Click here to buy tickets ($5). UPDATE: Congrats, Carol! And that's so cool that you're feeling the baby kick. Please email me at losangelesstory@gmail.com with your address. Thanks to everyone who participated, and sorry I'm so late in announcing! Happy May Day! 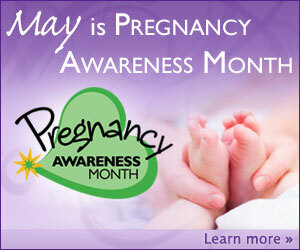 Not only is today the first day of May, but it's also the kick-off of Pregnancy Awareness Month, a month dedicated to helping women during pregnancy learn more about nutrition, exercise and, as the organization says, "all-around nurturing." There is also an amazing free event planned for Sunday, May 6, at the Skirball Cultural Center. Held annually since P.A.M. was established in 2008 by author Anna Getty and producer Alisa Donner, the event should be a fun and informative afternoon for pregnant women, new parents, new grandparents and families with young kids. There are also other events scheduled outside of the L.A. area. In honor of the event, I'm giving away a Britax Accessories Package (value $55.97). See giveaway info below! Live Performance by Lisa Loeb! Cleaning up for Pregnancy with Ken Cook, Alejandro Junger, and Dr. Soram Khalsa, MD. Moderated by Rachel Sarnoff. Inspired Eating for the Wee Ones with Catherine McCord and Dr. Alan Greene moderated by Gigi Chang. Our signature Mommy Pampering Spa and Young Children’s Activity Areas will make their annual appearance, produced by Belly Sprout and Ladybug Jane respectively. And don’t forget the mommy and baby shopping area and free gift bags and raffles throughout the day. Style Expert and Author, Amy Tara Koch will Host her ever so fabulous and fun “BUMPITUPSTYLE” Lounge sponsored by Viacord featuring Ingrid & Isabel. Come see Amy and get “style your bump” tips and refreshments. I'm giving away a Britax Accessories Package, which includes kick mats ($15.99), head & body pillow ($29.99) and EZ-Cling window shades ($9.99). To enter, leave a comment below telling me about your favorite part of pregnancy. Good luck, and I will announce the winner on Monday, May 7!